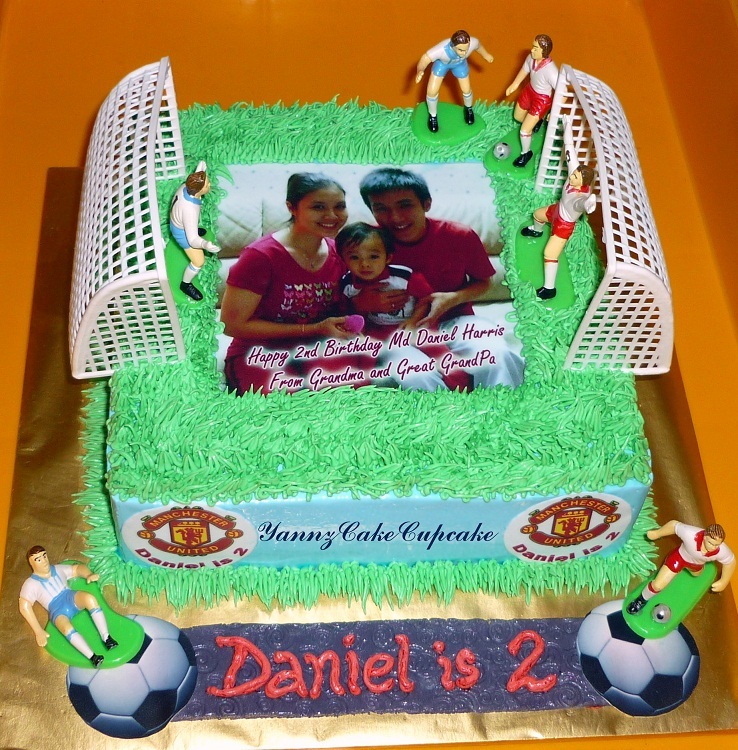 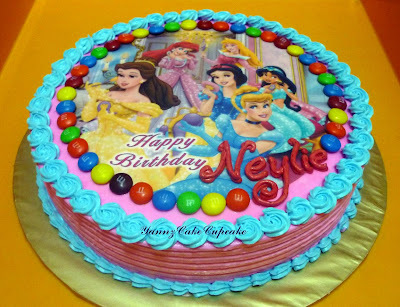 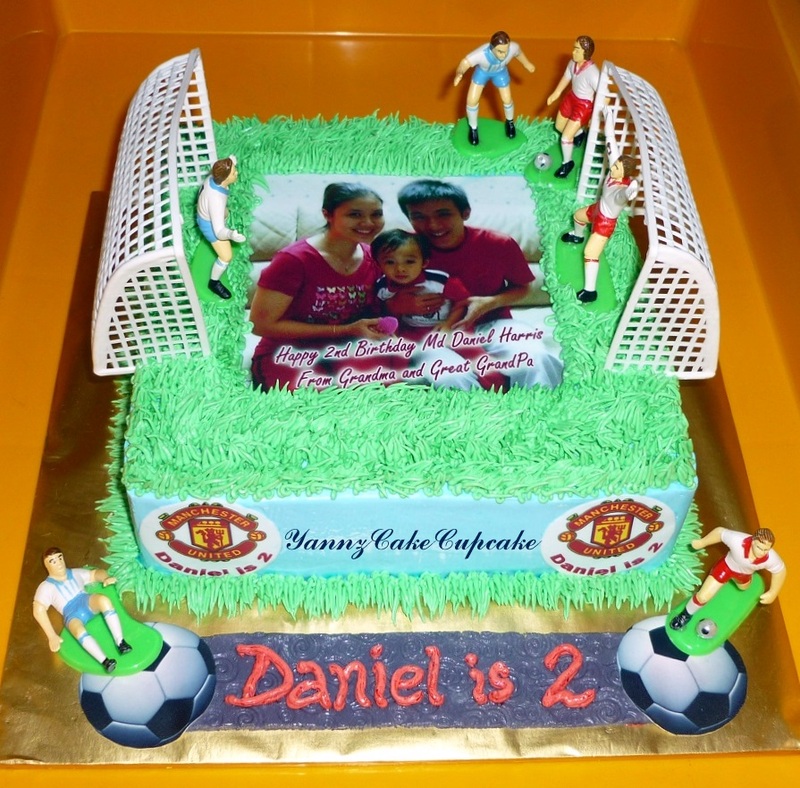 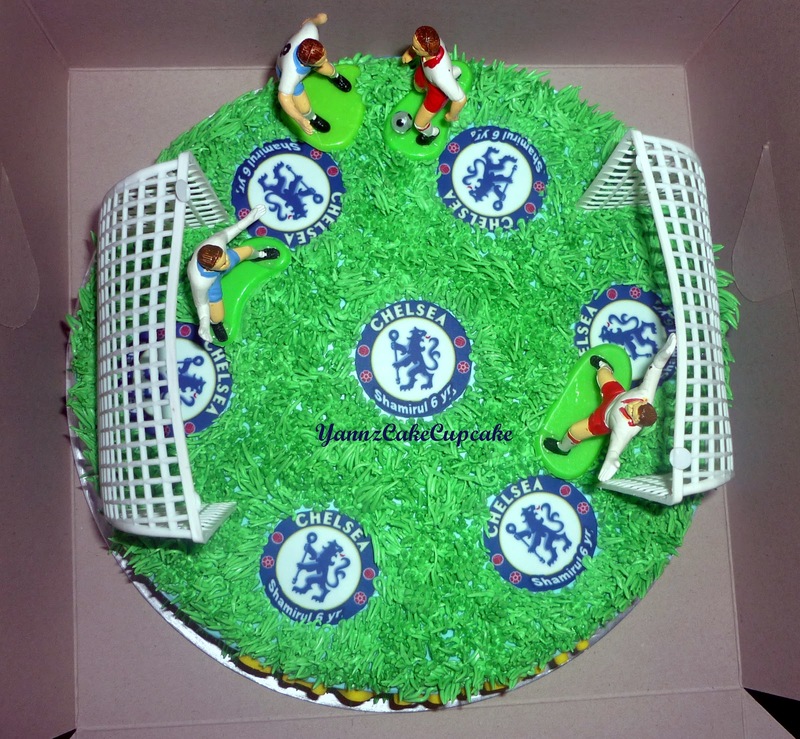 This cake is ordered by Puan Hidayah Choy for his beloved grandson Mohd Daniel Harris 2nd Birthday..Theme is MU Soccer with self edible image..
Daniel is so cute and very lucky for having loving grandma like her..Happy Birthday Daniel..
May Allah always bless you..
Order come for Little Neylie who turn 4 this year..for her cake I place princess edible and covered with soft pink and blue buttercream..inside is choc moist cake layered with blueberry.. 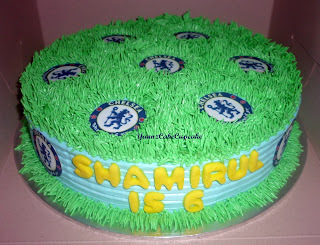 I also deco with M&M choc since she only 4..for sure like candy..hope she love it.. 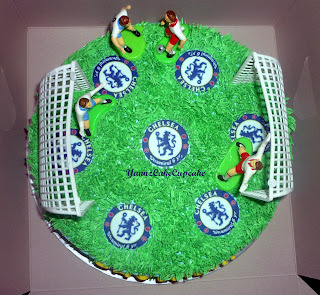 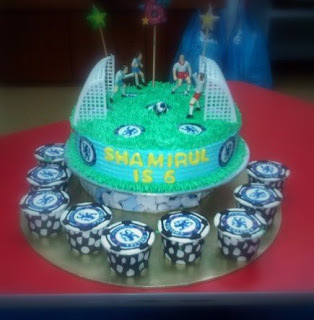 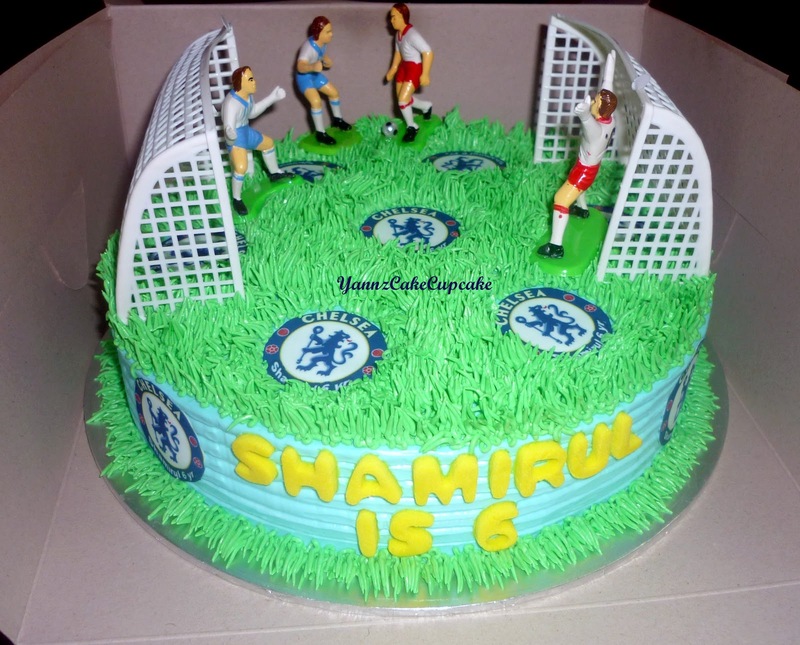 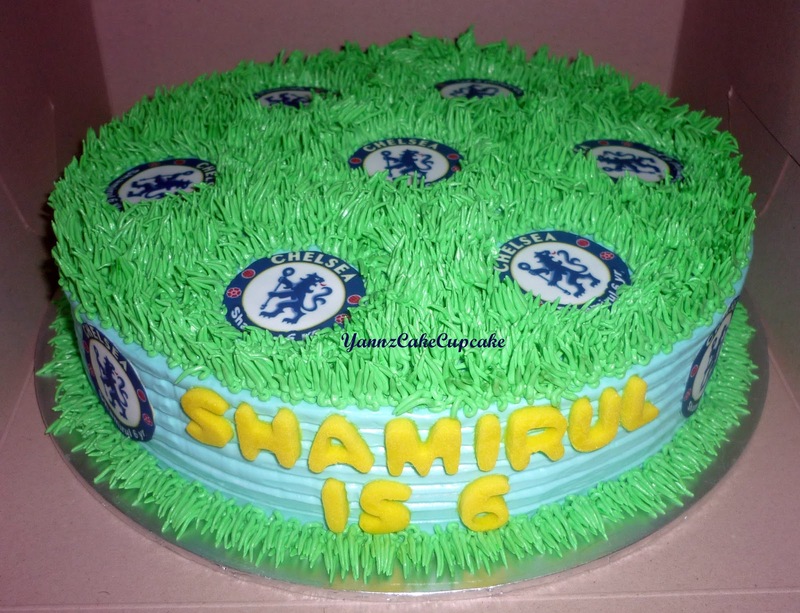 Received order from Puan Liana Puchong for her beloved son, Shamirul that turns 6 this year..
For his birthday theme is Chelsea..so I prepare Chelsea edible with his name printed on the logo..
On the cake, I add on some fake player and goal to beautify the cake..
After combine the whole cake..this is the final result.. 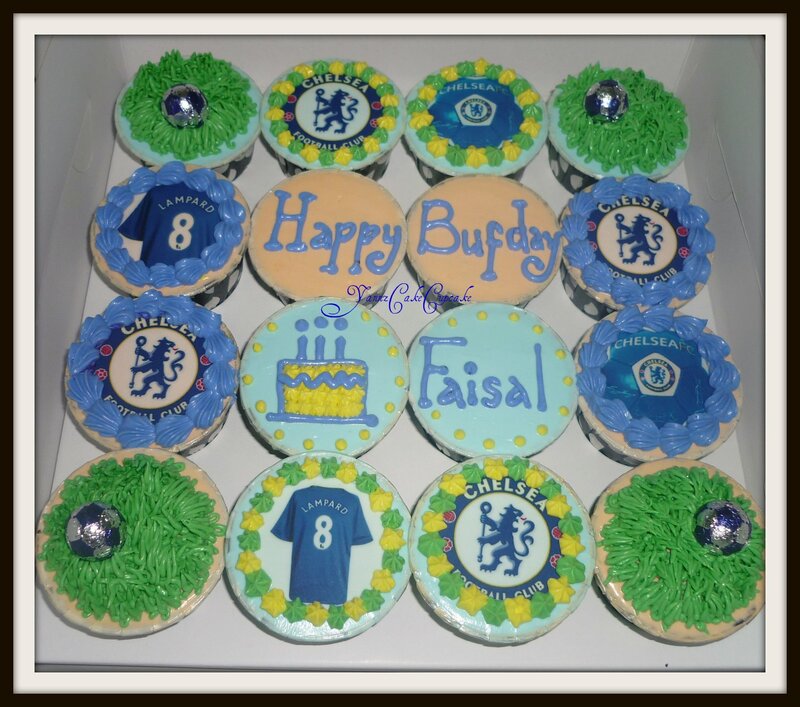 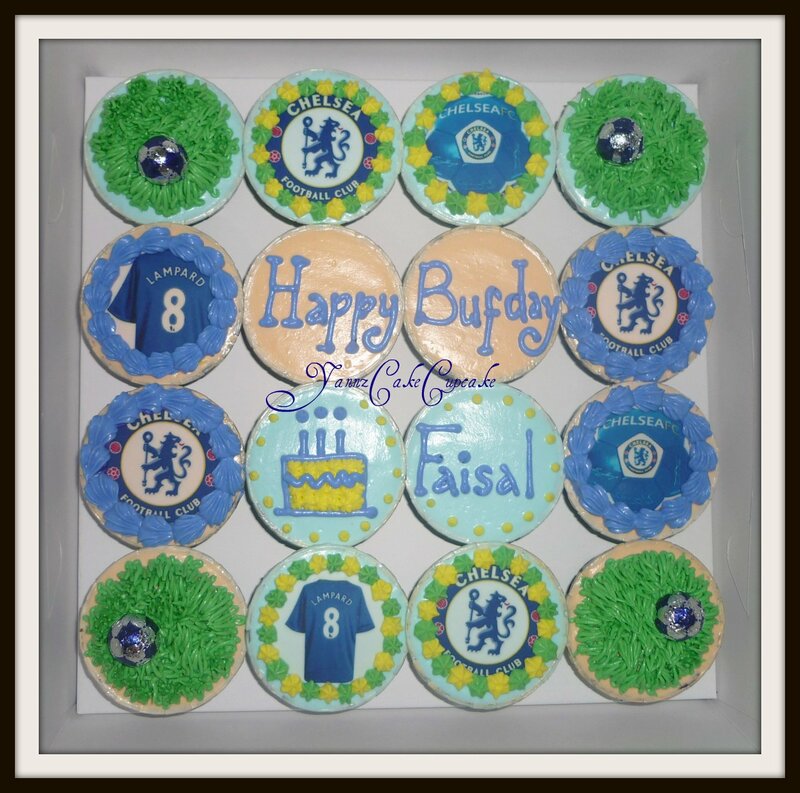 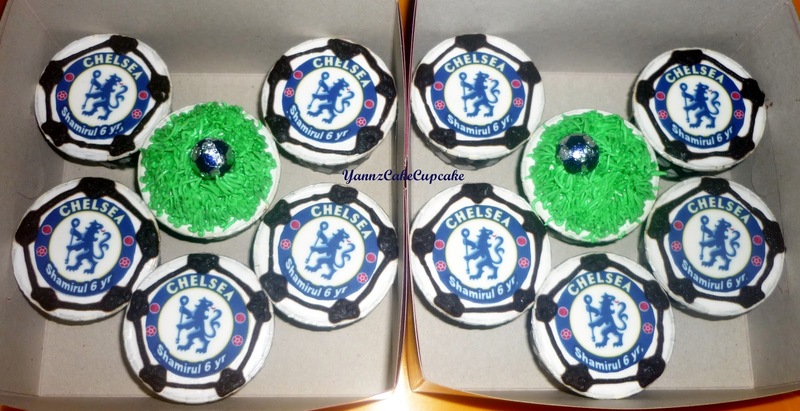 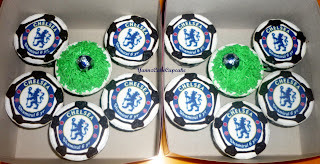 Happy birthday to Chelsea biggest fan; Faisal..for his cc, I placed edible with chelsea logo to brighten up the special day..hope he like it..order received from Ummi G4S.. thanks ummi..
Order received though sms from Ms Jade, for her friend Ms Elize that turn 23 this year..theme for her cupcakes so cheerful. 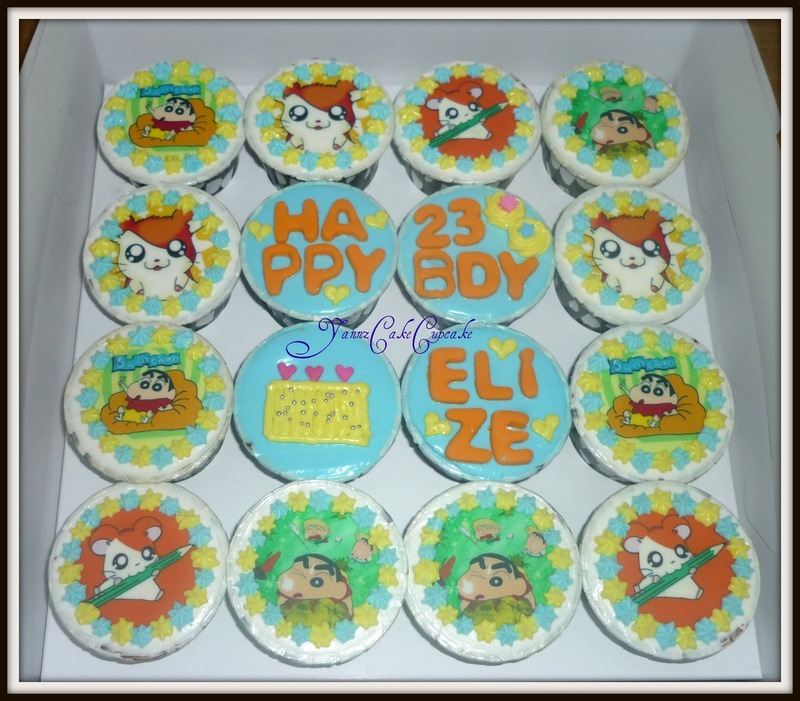 Cartoon Character of Ham-taro & Crayon Shin Chan..Really hope she like it..